Established in 2010, The Sally & Bob Gries Center for Experiential and Service Learning in University Circle represents Hawken School’s commitment to the principles of real life learning and involvement with the greater Cleveland community. 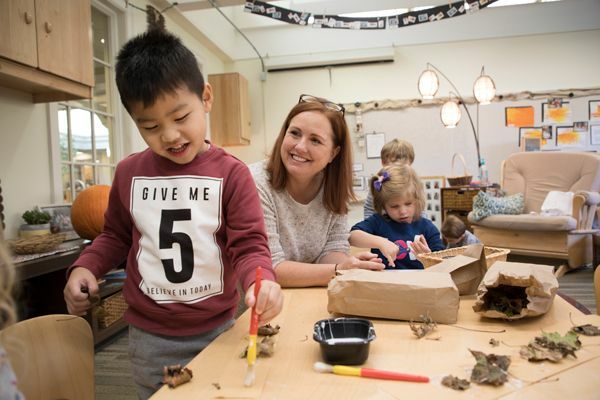 Located at 10823 Magnolia Drive just blocks away from Hawken’s original home on Ansel Road, the Center celebrates a return to the School’s geographical roots and a commitment to engaged learning in the heart of the city. With University Circle’s combination of world-class institutions and developing urban neighborhoods, students experience the world through a vastly different lens, enabling the development of skills and qualities that cannot be fostered as readily on their home campuses. Hawken’s partnerships with University Circle institutions have included CWRU, Famicos Foundation, Citizens’ Academy, Magnolia Clubhouse, Inc., Cleveland Clinic Foundation, Cleveland Museum of Art, University Hospitals, Cleveland Music School Settlement, Western Reserve Historical Society, The Cleveland Orchestra, and University Circle, Inc. The Gries Center is also home to Hawken’s Arnold and Sydell Miller Institute for Entrepreneurial Studies, which features a semester immersion course that equips students with the deep knowledge and creative, collaborative skills needed to solve real world problems. With a rich history that reflects the philanthropic outlook of its original owner and stunning architectural features that reflect the artistic integrity of a bygone era, the Gries Center’s interior and exterior features provide an optimal venue for a variety of business and social events. To inquire about renting the facility, visit our facility rentals page. "Hawken has always impressed us with its ability to improve, adapt and evolve to educate students and help them grow into caring and capable leaders," said Bob Gries, a 1944 graduate. "We feel very passionate about Hawken's presence in University Circle and the wonderful service and learning opportunities it will generate." Through the years Bob and Sally, a Hawken Life Trustee, have been seminal supporters of community service programming at Hawken. Given their longtime support, the Hawken Board of Trustees voted enthusiastically to name the new University Circle campus the Hawken School Sally & Bob Gries Center for Experiential and Service Learning. Hawken’s Arnold and Sydell Miller Institute for Entrepreneurial Studies is housed at the Gries Center. This semester-long course incorporates the Lean LaunchPad (LLP) methodology developed by serial entrepreneur and academician Steve Blank. Students work with real Cleveland businesses to come up with solutions to actual start-up related problems before building their own startups. The Gries Center also serves as a base for several of our Upper School Intensives. For example, in the class “Community Development and Urban Renewal,” students partner with Neighborhood Connections, a community grant-making organization affiliated with the Cleveland Foundation, St. Pauls’ Community Church in Ohio City, The Civic Commons, and other area organizations. Students create proposals for ways to meet neighborhood needs and gain a sophisticate understanding of the complexities, challenges, and realities involved in urban renewal. The Gries Center support the week-long 4th grade integrated unit of study called “Archeology in the Circle: How We Understand Our Past,” designed to integrate information and skills from mathematics, social studies, science, reading, writing, and art. In addition to participating in a simulated archeological dig at the Gries Center, students have a scavenger hunt at the Cleveland Museum of Natural History, tour a working archeology lab, study and practice ancient cave art techniques, learn how to use primitive stone tools, and write an archeologist’s final report.